What are the hot topics ahead of the poll? Are voters allowed to take selfies in the election booth? What are “flying electoral authorities”? Everything you need to know about the vote in Austria. Austria is holding a snap general election on Sunday, October 12. 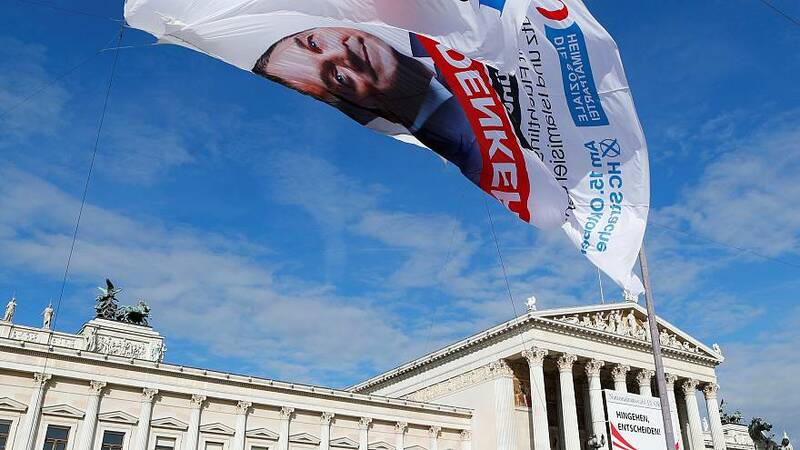 It comes after the coalition between the Social Democratic Party of Austria (SPÖ) and the Austrian People’s Party (ÖVP) fell apart in mid-May . For now, polls predict an election victory for the conservative ÖVP and its 31-year-old leader Sebastian Kurz. For the right-populist FPÖ and the SPÖ it looks like a neck-and-neck race for second place, according to polls. ÖVP, SPÖ and FPÖ are the three strongest parties in Austria. In total, however, there at 10 parties, plus a further six that are own represented in certain federal states. Due to strong support for Austria’s right-wing populists, immigration is the prevailing topic in the Austrian election campaign. There has been a scandal about smear campaigns on Facebook, which has implicated the former head of SPÖ’s election campaign and been a key issue in media coverage in the run-up to the vote. Other issues that are highlighted in the electoral programmes include unconditional basic incomes, the EU’s trade deal with Canada, Europe, border controls, more direct democracy, energy and education reform and gay marriage. Austria’s parliament has 183 MPs members are elected for five-year terms. A four percent hurdle applies. This means a party in Austria must receive four percent of the votes on a national level or win at least one direct election in a constituency in order to enter parliament. All citizens aged 16 years or above are eligible to vote. In total 6.4 million people are entitled to cast their ballots. With a special card voting is possible at any polling station but without it you have go to the one near your home. Each voter has not only one, but four votes in the legislative election: one for a party and one for so-called preferential candidates in the constituency, federal state and on a national level. Postal votes could play a decisive role. First results are available from 5 pm because many rural polling stations close at noon. The postal votes are counted after 5 pm. Especially in case of a head-to-head race between the big parties these voices could be decisive. What is a flying electoral commission? Anyone who cannot go to a polling station due to physical limitations may apply to be visited by a special electoral board. This election committee “flies”, for example, to nursing homes, hospitals or even prisons and is free of charge. … can also get someone to assist them. But watch out! Anyone who pretends to be blind or disabled can be fined with up to 218 euros. nrw17 is the keyword under which users share opinions, articles, images and videos in social networks. These are all theoretically allowed in the voting booth. The right to vote in Austria only forbids someone to publish a photo showing how someone voted against their will. The ballot paper may be folded to a paper plane, as long as it fits into the envelope and the ballot box. Dogs are not expressly prohibited in the election booth.